A quintessential silhouette-- the pointed-toe, stiletto-heeled bootie-- now with an extra does of cool, thanks to metal beads along the sole. 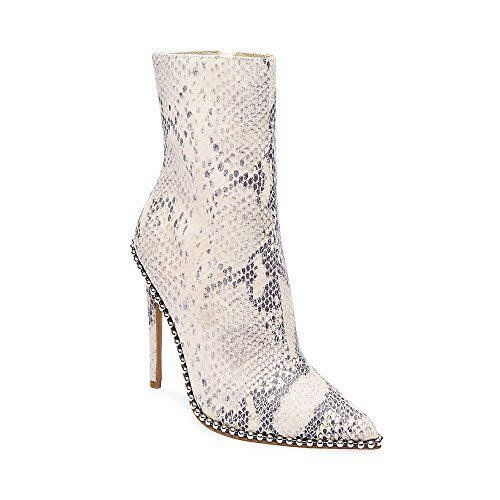 This "Worthy" ankle boot from Steve Madden (available via Amazon for $139.95) complements ripped vintage jeans, a folkloric maxi dress or something sleek and metallic. The key is to play around with prints and proportions. It's a boot. Or is it a sandal? It almost looks like both (although, we advise you not to call it a "Shandalboot," lest you cause a scandal by stealing Tracee Ellis Ross's term for her favorite Stella Hues boots). 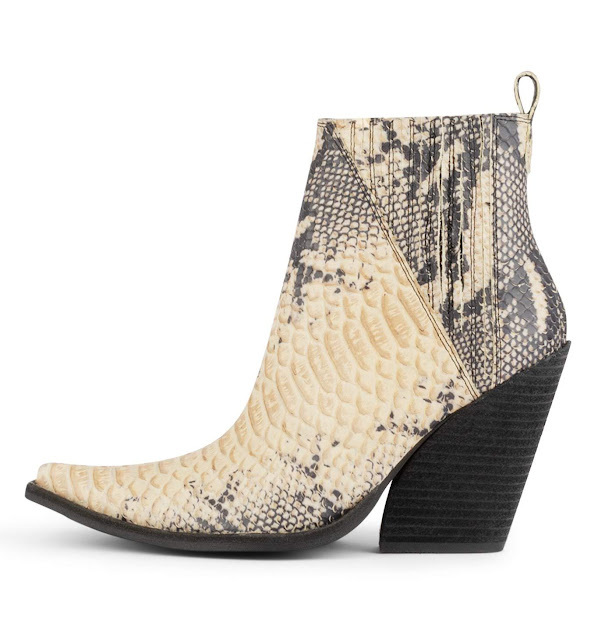 However, this "Snake Away" bootie from Nasty Gal ($70) is actually an ankle boot with a mesh front. Rock this style barefoot, or go wild with sparkly socks (and please show us if you do). One thing is clear- the perspex trend in footwear is still holding strong. If you're not into maintaining your pedicure when it's chilly out, but you still want to dip your toe into the trend, consider this "Turnaround" bootie from Ego Shoes ($56.99). It's clear wedge gives it the illusion of a gravity-defying feat. Western looks are everywhere at the moment, and we love this high-heel "Homage" to urban cowgirls everywhere from Jeffrey Campbell ($185). With a pointed toe, slanted block heel and elasticized gore for slipping on and off, it's a lotta bit country and a little bit rock and roll. But really, it makes us want to jam to "Pony" by Ginuwine. 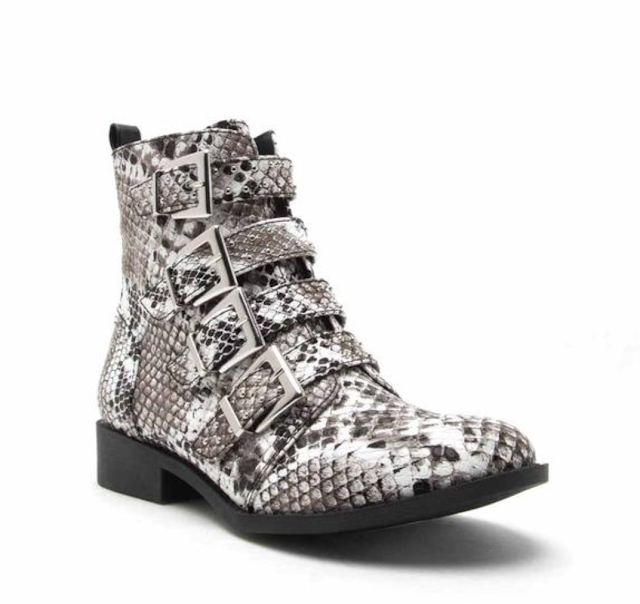 When the day calls for flats, we fancy this buckled bootie by Qupid (Available via ASOS for $51). Small studs accent the straps for extra edge. Wear these now with kick-flare trousers and a turtle neck, then bring them back out for the grunge takeover that's headed our way.